“I can still see her face, a weathered parchment. I can feel her liquid and lively eyes and breathe her hands, smelling of earth and freshly cut grass, of scorching sun that burns the skin. Working hands that never tire. Hands that do not feel fatigue or even pain. I crossed the threshold. I am here. A penetrating perfume envelops me. It's a fragrance that sticks to me. That goes through me, as if I was almost transparent, as if I was permeable material. I smell the pearly white garlic that sizzles in oil with chilli and black pepper and...yes, this is the moment! -You have to let the smell guide you! - a little voice in my head tells me. Squashed, cherry red, juicy, ripe and seasoned tomatoes thrown in. 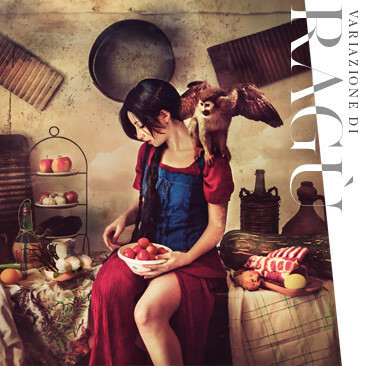 The air is filled with an antique fragrance, wise, understanding and romantic. Carefully washing the basil, freshly picked from the terracotta vase on the balcony. Basil with minty breath, almost balmy. 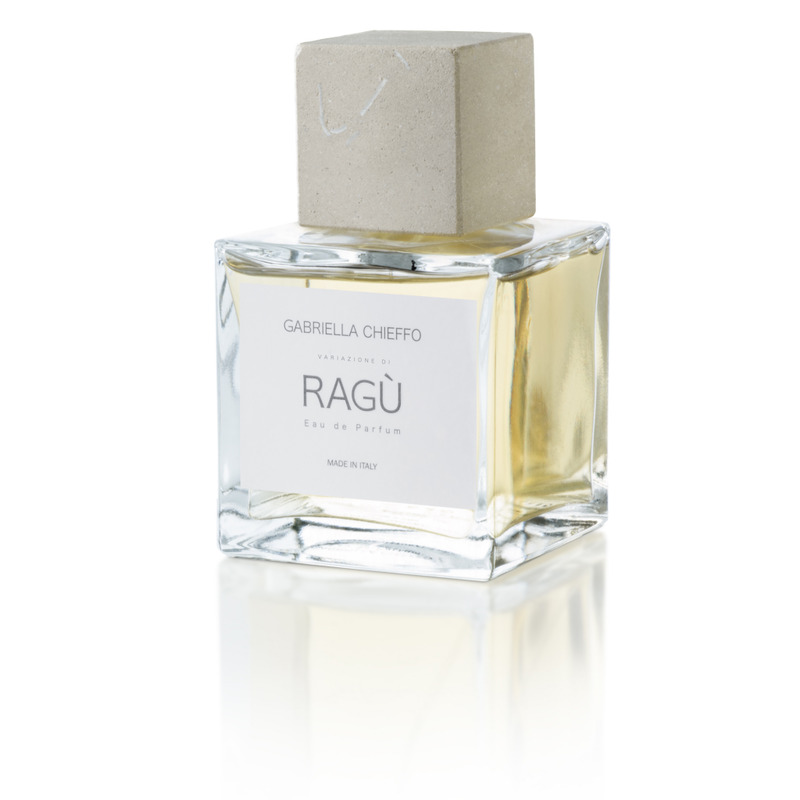 Variazione di Ragù is a different fragrance, smoother, more captivating, warmer than the original Ragù . It tells a story of love more aware and meditated, whose passion is tempered by experience and life. More understanding because it is less visceral. A love exclusive and unrepeatable, unconditional but kind, the love of a woman, of my grandmother.” G.C.